Fig. 2. 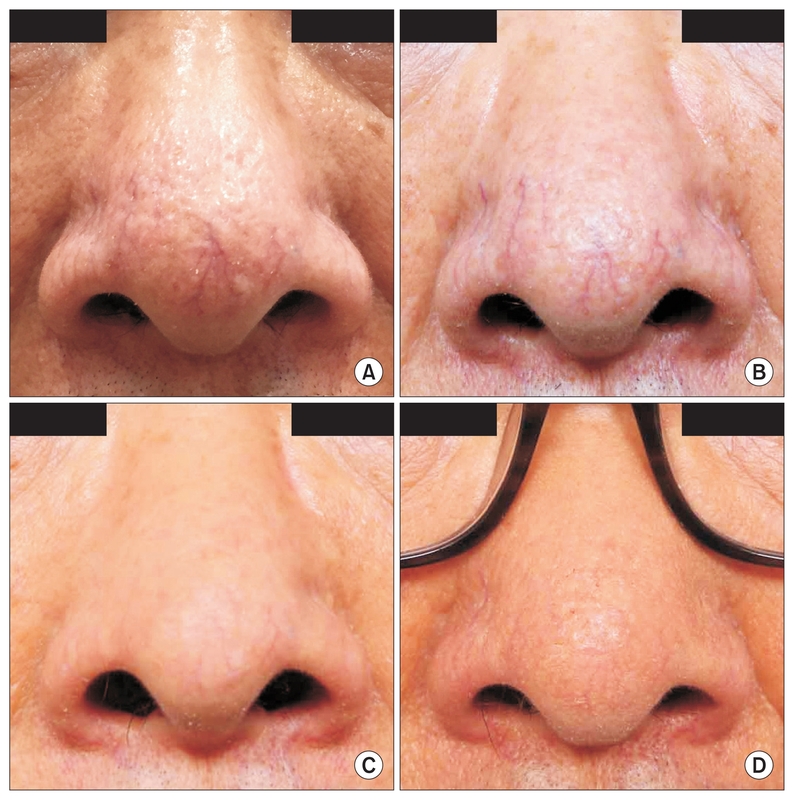 Normal light-exposed photos reveal erythematotelangiectatic nasal rosacea in a 76-year old man at (A) baseline, at two weeks after (B) two sessions and (C) seven sessions, and (D) at four weeks after 12 sessions of invasive pulsed-type, bipolar AC RF treatment using microneedle electrodes.